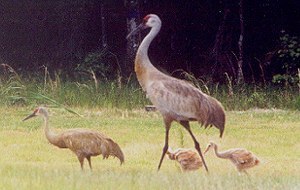 Sandhill Cranes are found in a variety of habitats, including suburban areas, in central and south Florida. 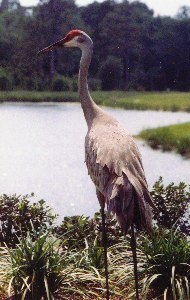 The Sandhill Crane is one of Florida's largest birds. 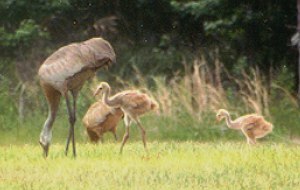 A family of Sandhill Cranes. The chicks begin to follow their parents within a day of hatching. They begin flying when just over two months old, but stay with their parents for about ten months.